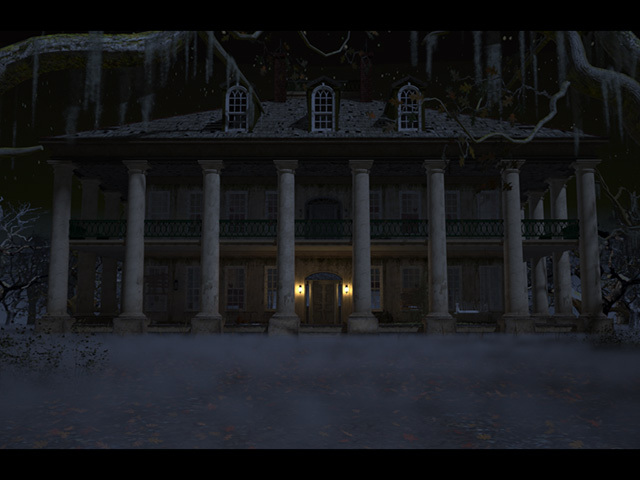 Nancy Drew: Ghost of Thornton Hall is rated 4.1 out of 5 by 42. Rated 5 out of 5 by CourageAngel from A Haunting and a Kidnapping? Better Call Nancy! Nancy is called in to find Jessalyn Thornton, and along the way she stumbles across another mystery in the Thornton family. Charlotte Thornton died mysteriously in a fire years ago, and it appears that her spirit is haunting Thornton Hall. Bonus points for the spook factor... Honestly, this is one of my favorite games in the Nancy Drew series so far. The story of Charlotte and the Thorntons, the "hauntings", and more... wow! It's another winner! Rated 5 out of 5 by Homeimps from Not Your Average Nancy Drew Game I've played almost every Nancy Drew game and this one, for me, started out slower than most of the others; it took me some time to figure out that I simply had to use an item on a door in order to make the game continue but once I figured that out, the rest flowed very well. I don't recall any other ND games that had the number of puzzles this one has and was pleasantly impressed by their originality and level of difficulty. The environments, as always, are beautifully done and quite scary in places. 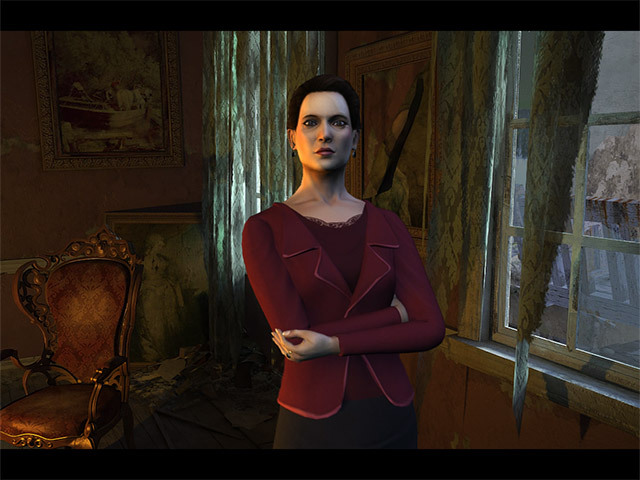 It always dismays me to read bad reviews that are written by people who are looking for games that offer a completely different format; Nancy Drew games are not comprised of hidden object scenes and the puzzles they incorporate are there as an important part of the challenge, so I, for one, am happy that the developers have never offered a Skip button; it's just good to know there are games tailored to players who enjoy the challenge. Having played this game, and The Deadly Device just before it, I'm hoping that Big Fish will soon be offering #32, Sea of Darkness. In the meantime, I'll be playing the few older games I haven't tried yet. Regards to all and Happy Gaming! Rated 5 out of 5 by petporcupine from Classic mystery for Nancy Drew fans I've been playing Nancy Drew games for many months now, and I'm totally hooked on this series. "The Ghost of Thornton Hall" has lovely music and stunning graphics and effects--I couldn't believe how realistic some of the characters' faces are! Voice acting is truly superb. The game is a bit dark; you're always playing at night, which ups the spookiness. The storyline starts off a bit like "The Haunting of Castle Malloy" in that one member of an engaged couple has disappeared right before the wedding. But any similarities between the two games end there. This story involves a lot of dialogue toward the beginning, so I did find myself wanting to get on with things at first. However, it's a complex plot that does become quite interesting, so stick with it. Several subplots keep things mysterious. While "The Phantom of Venice" was a fabulous game, I was frustrated with some of the puzzles toward the end, such as the water towers (just frustrating) and the water pressure valves (very short timing). 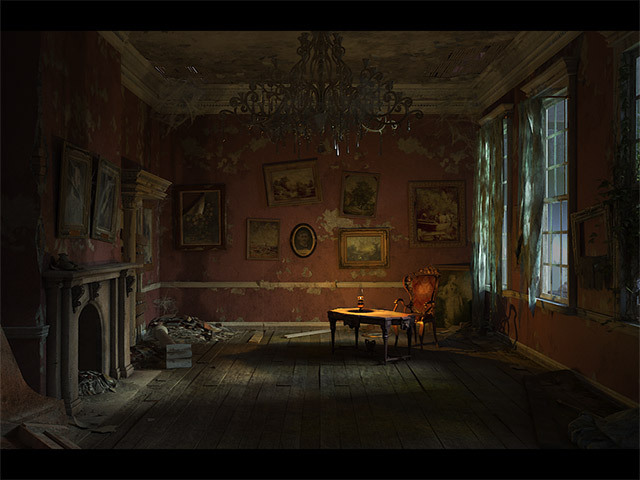 "The Ghost of Thornton Hall" is sufficiently challenging, but I did not need to consult a walkthrough even once, even as a master sleuth. That's partly due to my building experience with N.D. and partly due to excellent game and puzzle design. This is one Nancy Drew game you don't have to hesitate to buy. It's guaranteed good times. Unlike with some of the lamer editions, such as "Trail of the Twister" and "The Shattered Medallion," I was a bit sad when "The Ghost of Thornton Hall" ended. Rated 5 out of 5 by boptab from Realy great game! I loved this game. And didn't realize the strategy guide is in the list of things to do (lower right hand corner). So it's not so frustrating or costly as buying the strategy guide separately. Rated 5 out of 5 by Weedance from Finally a real challenge to unravel Getting bored with the same old routines that so many of the 'adventure' (which are really just HOP games) offer? Then grab this complicated game. In the vain of Mystic, you navigate your way through a maze of rooms, doorways, tunnels, crypts and cellars talking to people and trying to figure out where to go next - or how to break the code on puzzles. There are NO HOPs - yay. This game could do with some serious editing - really laboursome dialogue and wordy books - again this is very Mystic in style and requires you to remember quite a bit. But they give you a camera phone - so use it! And the only other complaint is that the entire game is dark- I have trouble seeing it well on my small screen even with full bright levels turned on. I have had to refer to the walkthrough several times, which is annoying, but also representative of the level of challenge at Master level. Rated 5 out of 5 by katyla from Ghosts! Missing People! Nancy Drew! So much fun! Good games and puzzling with enough hints that I didn't get stuck. Just spooky enough and good diversity of kinds of puzzles. Highly recommend! 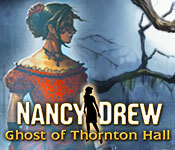 Rated 5 out of 5 by rjohn82677 from Nancy Drew: Ghost of Thornton Hall Incredibly Excellent! The story is outstanding! I could hardly wait to complete the game to its end and to learn what had happened with all of the characters. The game was very challenging. I had to restart it twice to ensure that I had followed it correctly. I did not want to restart it, BUT I am so glad that I did and I FINISHED the STORY (game). The story and the challenges kept me awake daily (two days) until I knew the ending. This should tell those who read this review, that the game is TRULY worth the time and challenge to find out how it ends.